We are the big family! The Tomsic company is a private owned company and is currently managed by the second generation of the Tomsic family who established an engineering factory in the area in 1956. Initially, manufacturing consisted of electronic solutions, systems, boards and services for a famous local textile machine maker (VOUK – Specialist in Drawframe). Until 1997 Tomsic company grew a lot with acquisition of huge textile experience, especially in drawframe autolevelling, slivers quality monitoring and laboratory quality monitoring process. However, since 1997 Tomsic company finished the collaboration with VOUK (local machine maker) and entered into the world market of manufacturing the new textile products. Thanks to a strong business philosophy Tomsic company entered the new markets without any problems and continues to grow. 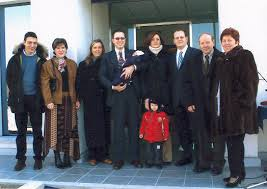 Furthermore, in 2003 the new building with triplicate production and offices area was inaugurated. Mr. Carlo Tomsic established the Tomsic company. Mr. Silvan Tomsic and Mr. Ladi Tomsic joined the Tomsic company as president and vice – president. 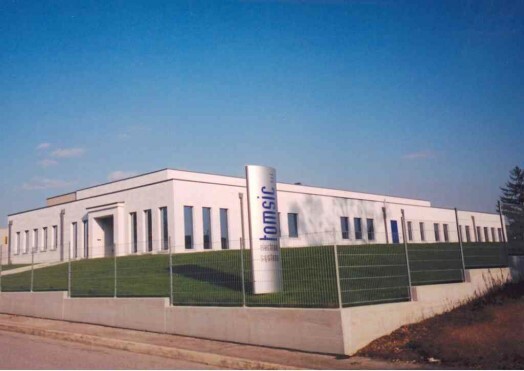 In 2003 was inaugurated the new Tomsic building with triplicate production and offices area. Tomsic presented the new products: Card short and long term autoleveller, Sliver quality monitoring and Production monitoring. In the ITMA2007 in Munich – Germany was introduced the new Evenness Tester, named “EASY”. The Tomsic company presented the Automatic Strenght Tester – TensoTester 2 and other laboratory products. The Tomsic company presented the Automatic Strength Tester – TensoTester3 and introduced the AutoCount Module, the new module connected to Evenness Tester “EASY” for automatic count measurement. Tomsic presented the Count Analyser: automatic count analyser with direct database connection to EASY and TensoTester3.